Mulligatawny is prounced as Mulli ga towny. This is a classic Anglo-Indian soup, the name of which means pepper water. This is an English interpretation of an Indian dish. It's a curry soup, full of nutrients, a mouthful of goodness in every spoon. Simply delicious and comforting soup. "Let's Go Meatless" Event for Soup Saturday Swappers was the theme given to us by our hosted Paula Begley. Made this Vegetarian Mulligatawny soup for the event. Melt butter in a large pan / pot, add the onion, carrot, and red chili, then sauté until the onions have softened. Add the garlic, ginger, apples and diced tomatoes. Add in all of the spices and toss to coat. Add in the lentils, stock and let come to a boil. Turn the flame to low and simmer uncovered for 30 minutes. Puree about 75% of the soup in with a stick blender. Leave some of the chunks whole, as it gives a nice texture and consistency to the soup. Return the pot back to flame, stir in the coconut milk and just warm it( do not bring it to a boil). Taste and adjust for salt and black pepper as needed. Serve topped with cashew nuts and spring onions. The first time I had a bowl of mulligatawny I knew I was in love! Such a delicious soup. Great choice for going meatless! I have heard of Mulligatawny but have never tried it. 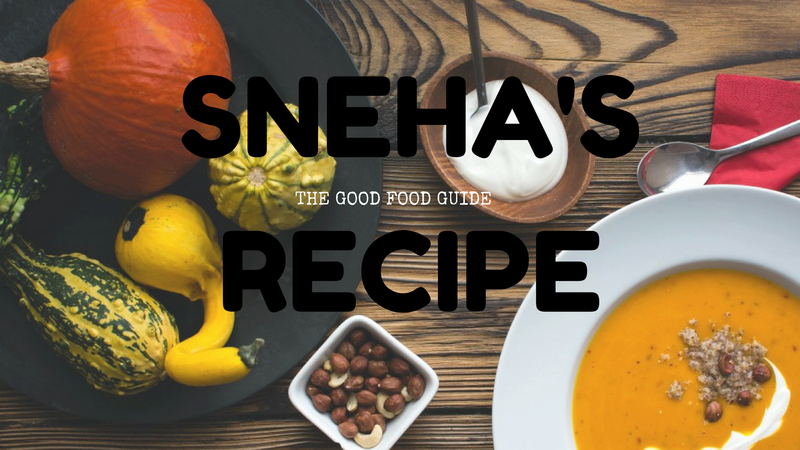 It sounds delish Sneha. There's so many great flavors in this soup. It sounds fascinating! Wow, does this ever look yummy! This is one I need to try!